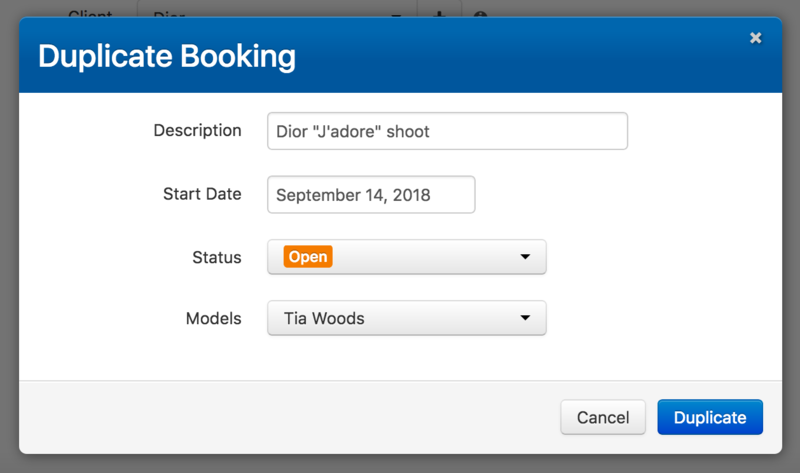 How to create a duplicate of an existing Booking, and move its schedule dates accordingly. 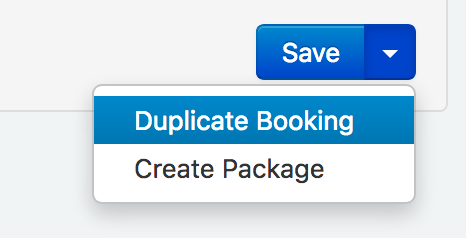 On the Details tab of the booking you want to duplicate, find the blue Save button in the bottom-right of the page. * Changing the Start Date will adjust the start/end dates of all talent schedules in the booking accordingly.